Envisioning itself as a Centre of Excellence in Business Education through the development of reflective, competent, and critical business professionals, anchored in Islamic values to serve the society. Teaching students to be intelligent consultants in managing finances, investments, saving and channeling finances in the right direction. Enabling and empowering students to develop their knowledge, skills, and abilities needed in marketing careers. The Department of Business Studies was formally established during the Academic Year 2007-2008. It started its certificate program with 66 students and 3 teaching staff. Within its first year of inception, the department tripled its enrollment figure and doubled its number of teaching staff. Currently, there are more than 500 students who are interested in pursuing Accounting and HR courses. The students are molded by forty three (43) full time academic staff of varied disciplines, nationalities and qualifications making it a diverse academic family; all in unison committed to providing high quality business and accounting education to the young men and women of Oman, constantly striving to provide the sincerest service to the students and committed to the same ideals of developing the full potential of its constituents. Presently, the department offers three major specializations namely Accounting, Human Resources Management and Marketing. 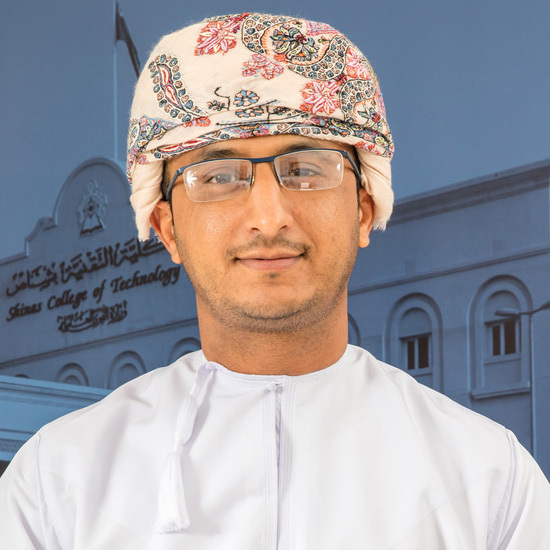 The Business Studies Department offers up to Bachelor of Technology (B. Tech.) for both Accounting and Human Resource Management specialization. Diploma and Advanced Diploma Level is also offered for students specializing in marketing. The Department envisioned itself as a Centre of Excellence in Business Education through the development of reflective, competent, and critical business professionals, anchored in Islamic values to serve the society. The department assists the students to redefine their performance and enhance their potential through business development, and supportive services, so that they can meet and respond proactively to the fast changing local and international business environment. Indeed, the Business Studies Department seeks to advance knowledge through high quality teaching and research in the closely related fields of accounting, marketing, and human resource. Our program aims at transforming the students into competent managerial professionals by continued student centered learning. The BSD recognizes the growing demand for high caliber graduates of business administration in the corporate world; our emphasis is enhancing the employability skills of our students that would fulfill the expectations of the market. Aside from the rigors of a well structured theoretical regime, students also grow to understand the latest occurrences in the corporate world through frequent industry institute interaction. We facilitate outside exposure by conducting workshops, having guest lecturers from industry practitioners and On-the- Job Training (OJT) for all the graduates, which help the students to experience the real work environment. Moreover, the department conducts Entrepreneurship Development Programs to inculcate the value of entrepreneurial thoughts or ideas among students, which will help them suit as a job provider rather than job seekers.